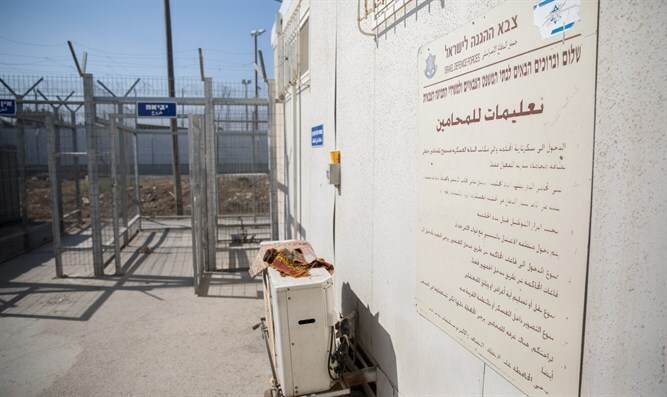 Border Police stop two Arab youths in whose possession 3 explosive devices were found. Police sapper called to scene. On Thursday morning, Border Police officers thwarted an attempted attack at the Samaria Military Court in Salem, in the Menashe district. The security forces arrested two PA youths to the court, and three explosive devices were found in their possession, apparently intended to be used. A police sapper was called to the scene and the entrance to the military court was closed until the incident was fully dealt with. It should be noted that the military court in Salem, Samaria, is a permanent target for attacks of this nature. In February this year, three PA Arabs were arrested by Border Police near the entrance to the courthouse with three pipe bombs. The day before, an Arab who had hidden a pipe bomb in his clothes at the entrance to the courthouse was arrested. A week before that attempted attack, a PA terrorist from Jenin was arrested at the entrance to the military court after the metal detector in the area warned that something was wrong. In the search, a pipe bomb was found in his clothes and the terrorist was arrested. In December 2017, a 16-year-old terrorist from Jenin was arrested in the same manner. Forces managed to locate a bomb that was neutralized later on. A few days earlier, a 17-year-old terrorist from Jenin was arrested after he hid two explosive devices in his clothes.